Vetprofen is a non-steroidal, anti-inflammatory drug (NSAID) that is commonly prescribed for the treatment of pain and swelling in dogs following surgeries and geriatric osteoarthritis complications. Like many NSAIDs, it falls under the same propionic acid class as ibuprofen and ketoprofen. Vetprofen lacks the narcotic properties observed with the administration of some other painkillers. According to clinical lab studies performed with canines that had not received anesthesia, the drug is typically well-tolerated following the consumption of a standard oral dosage. Daily dosages are generally around 4.4 mg/kg of body weight. The U.S. FDA has approved carprofen prescriptions for dogs, but felines should not be given this drug. According to some studies, the analgesic and antipyretic activity of carprofen has been observed to be roughly on par with that of indomethacin. Can Any Dog Take Vetprofen? Some canines exhibit adverse reactions to carprofen, like hypersensitivity. Dogs that have already demonstrated such symptoms in the past should not be given this drug. The majority of adverse reactions are classified as gastrointestinal disturbances; although renal, dermatologic, neurologic, hematologic and hepatic effects are reported, these are less common. Dogs that have prior histories of bleeding disorders, like Von Willebrand's disease, should not be given carprofen. Canines should also be older than six weeks old, non-pregnant, non-lactating and non-breeding, as these classes haven't been confirmed to metabolize the drug safely. As with all NSAIDs, it's important that practitioners attempt to avoid simultaneously administering corticosteroids and other NSAIDs unless the canine can be observed diligently. Most adverse reactions can be reversed by ceasing vetprofen treatment during the early stages. Why Should a Vet Prescribe Vetprofen? Carprofen's effective use as an anti-inflammatory treatment for osteoarthritis and hip dysplasia is well-established. Due to the fact that it has specifically been studied and approved for use in canines, toxicity dangers typical of NSAIDs formulated for humans may be less likely. Vetprofen is currently only approved for use in canines, although it was formerly administered in humans for about a decade. It has been tested in dosages specifically formulated for canines, and potential adverse reactions are well-studied. How Should Vets Advise Dog Owners about Vetprofen? Some dogs exhibit more serious symptoms, including seizures, compromised coordination, bloody vomit, jaundice or black, sticky stools. Skin irritation and serious behavioral changes, such as aggression, are also possible. Therapy should be stopped at the first sign of any abnormal symptoms, as long-term administration may increase the risk of adverse reactions. Periodic followups are advisable with any NSAID therapy. If you have any other questions about this powerful anti-inflammatory option, contact us today. Drugs.com. "Vetprofen." Available from http://www.drugs.com/pro/vetprofen.html. The European Agency for the Evaluation of Medicinal Products. "Committee for Veterinary Medicinal Products: Carprofen." Available from http://www.ema.europa.eu/docs/en_GB/document_library/Maximum_Residue_Limits_-_Report/2009/11/WC500011412.pdf. As we researched the nation’s many rescue clinics for part one of our blog post titled “Five Pet Rescue Clinics We Admire,” we decided that it wasn’t enough to highlight just five, so here are five more organizations that take rescue pet care to the next level. Best Friends Animal Society - In the 1980s, the Best Friends Animal Society started taking sicker and older animals to a safe facility where they could heal and regain their strength. Since then, the organization has been able to save thousands of animals through its original and inventive programs. The Best Friends Animal Society also supports shelters and other rescue groups around the nation. During 2011, the association began working to make more of the country’s cities “no-kill” areas. To date, the organization has been able to make shelters in Los Angeles “no-kill” as well as cities across Utah. Hearts United for Animals - Hearts United for Animals is an organization that intends to eliminate suffering for the nation’s animals. It is a no-kill sanctuary, and the group saves dogs from around the country if other shelters need more space. 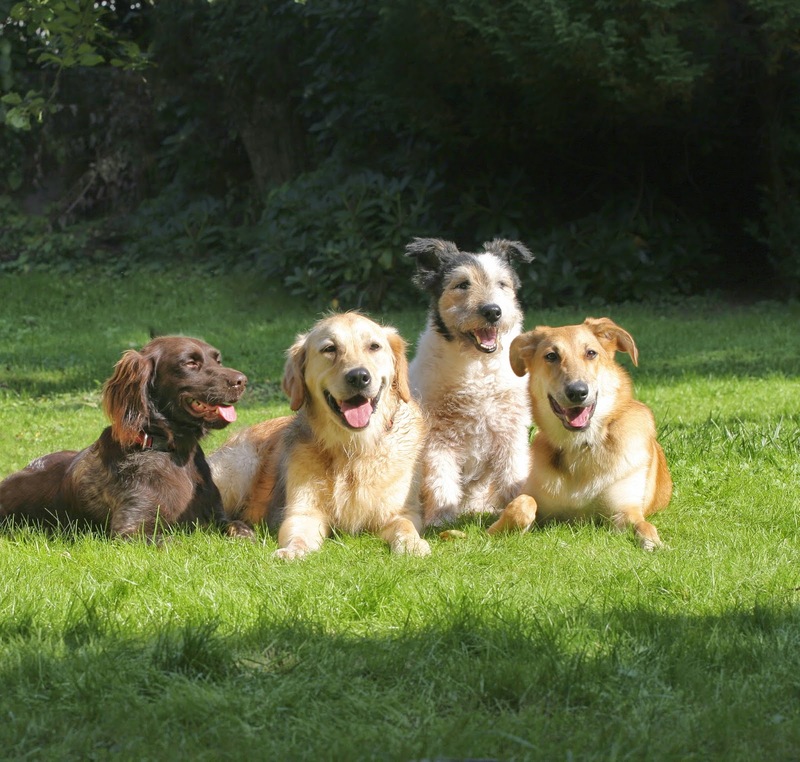 They pride themselves on warm, compassionate rescue dog care. Today, Hearts United specializes in arranging long distance adoptions. Ramapo-Bergen Animal Refuge Incorporated - The Ramapo-Bergen Animal Refuge shelter is a safe haven for cats and dogs. To extend its goal of helping animals, the association provides animal-related training courses to local schools and clubs. Also, the shelter’s staff members go the extra mile and guide adoptees through the process of taking home their new furry friend. Pets Incorporated - Pets Incorporated is the most productive animal rescue organization in Midland, SC. The state’s Angel Charities Group has even recognized the association for its efforts. Pets Incorporated provides a home for about 200 homeless animals on a consistent basis, and each year, the organization finds permanent homes for approximately 3,000 animals. The National Disaster Search Dog Foundation - In 1996, the National Disaster Search Dog Foundation was formed to turn rescued dogs into rescue dogs. The group’s staff members find and recruit rescued dogs and train them to help firefighters as well as other first responders such as those who look for survivors in wreckage areas. The National Disaster Search Dog Foundation does not charge fire departments for its training services, and the organization guarantees that every dog it accepts into the program will have a home for life. Pet rescue clinics provide a service that we can all appreciate. We dog lovers and cat lovers at Medi-Vet will always do our best to highlight and support these great organizations!